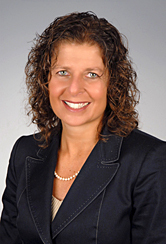 DEBRA E. SEIDMAN is a partner at Quirk and Bakalor, P.C. Her areas of practice include construction, litigation, products liability, commercial, insurance and appellate. She represents a diverse base of clients, such as property and business owners, construction contractors, insurers, manufacturers, trucking and automobile companies and hotel operators in complex civil defense litigation. Ms. Seidman brings years of courtroom experience to bear on matters involving premises liability, the New York State Labor Law, motor vehicle liability, insurance coverage, products liability and contract disputes. Her practice includes the preparation of pleadings, case investigation, discovery, depositions, dispositive motion practice, settlement negotiations, mediations, trials and appeals. Ms. Seidman joined Quirk and Bakalor, P.C. in 1989. Prior to joining the firm, she worked in the insurance department at Tishman Construction Corporation for three years. Ms. Seidman is admitted to practice in New York, and the U.S. District Court, Southern and Eastern Districts of New York as well as the United States Supreme Court. She is a member of the American Bar Association. Ms. Seidman received her B.A. from the Stony Brook University and her J.D. from St. John�s University School of Law.